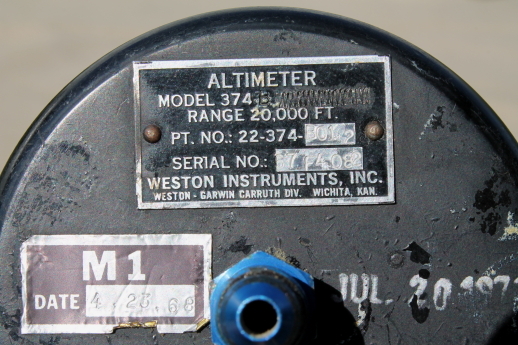 Vintage Cessna altimeter made by Weston Instruments. 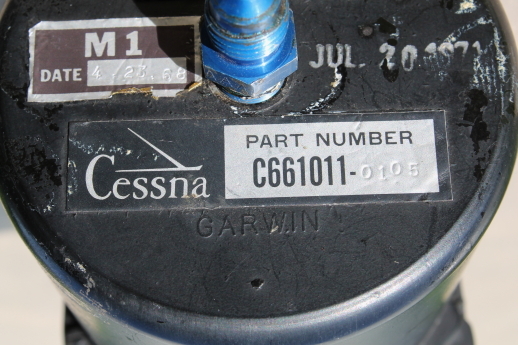 It is marked as an M1 and Cessna part number C661011. 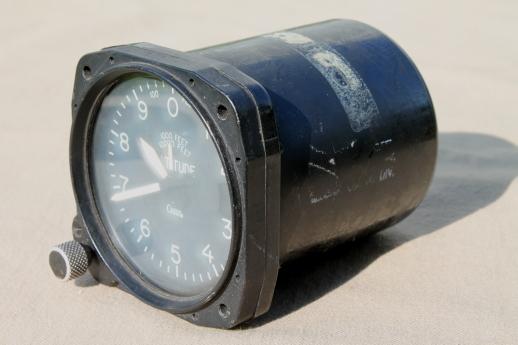 It is dated with 4/23/68 and Jul 20 1971. 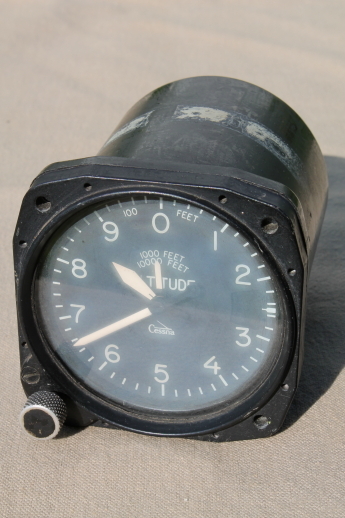 This altimeter is marked for 20,000 feet. 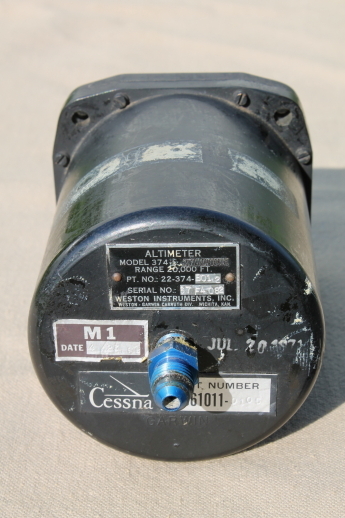 This altimeter is from the estate of a small airplane pilot. 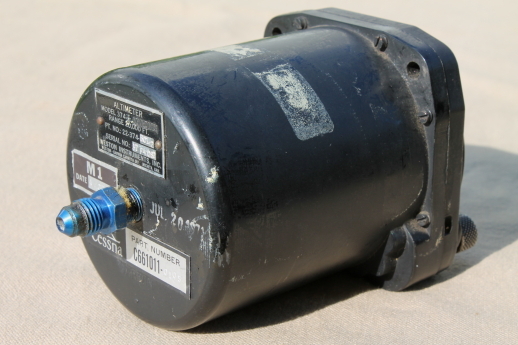 We have not tested and are selling it AS IS for repair or parts. 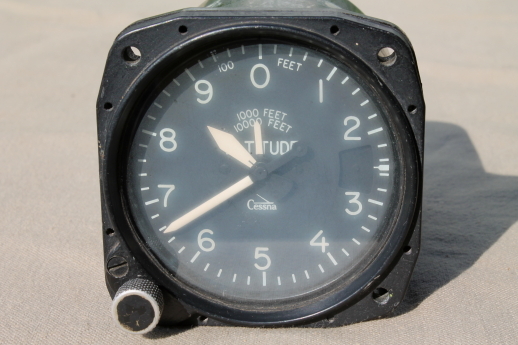 This measures about 3 1/4" square on the front and 3" across the gauge face. 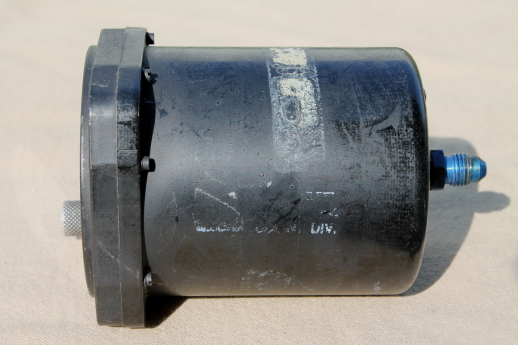 It is about 4" long.